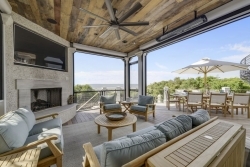 Mount Pleasant, SC, February 17, 2019 --(PR.com)-- Teak + Table Outdoor Living, a family owned and operated South Carolina business, is adding a third location. With stores located in Bluffton, SC and Pooler, GA, the company is expanding their reach with a third store in Charleston. Located at 1751 Highway 17 North in Mount Pleasant, Teak + Table will be able to provide the local market with a wide range of in-stock luxury outdoor furniture at affordable prices. Along with the luxury frames, Teak + Table has worked diligently over the last few years to manufacture their own line of Luxe Cushions. They have partnered with a local pillow manufacturer in Beaufort, SC where they are able to produce thousands of outdoor cushions yearly. In doing this, they can provide a variety of Sunbrella outdoor cushions at a marginal cost. Since their inception, Teak + Table has structured their business on three key factors: Quality, Affordability & Speed. In order to obtain the highest quality products for their customers, Teak + Table works directly with furniture manufacturers all over the world to ensure their expectations are met with every piece of furniture offered in their beautifully curated showrooms. By working directly with their manufacturers, they are able to provide industry leading prices on the quality furniture their customers deserve.